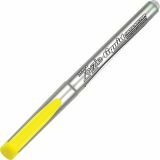 Chisel tip for bold marking. Easy glide liquid ink performance. Convenient plastic pocket clip matches ink color. 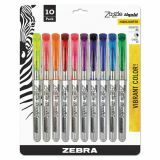 Zebra Zazzle Liquid Ink Highlighter, Chisel Tip, Asst Colors, 10/Set - All-purpose fluorescent liquid-ink highlighters feature a chisel tip for highlighting or underlining. Water-based pigment ink is safe for use on fax and carbonless paper without erasing. 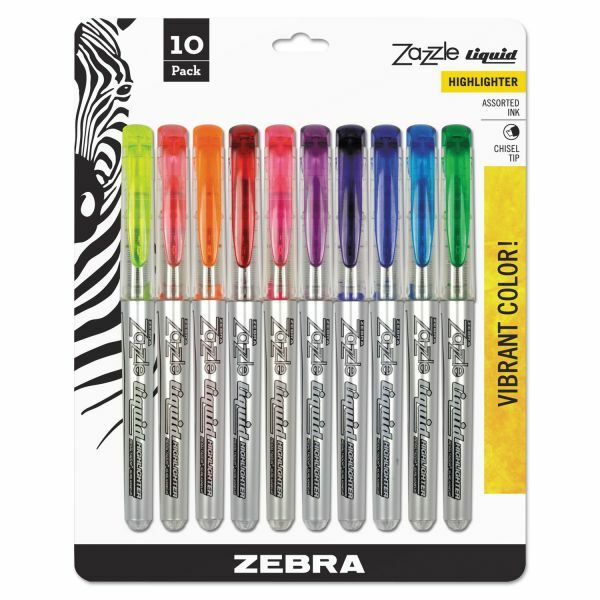 See-through barrel allows visible ink color and supply. Nonrefillable.